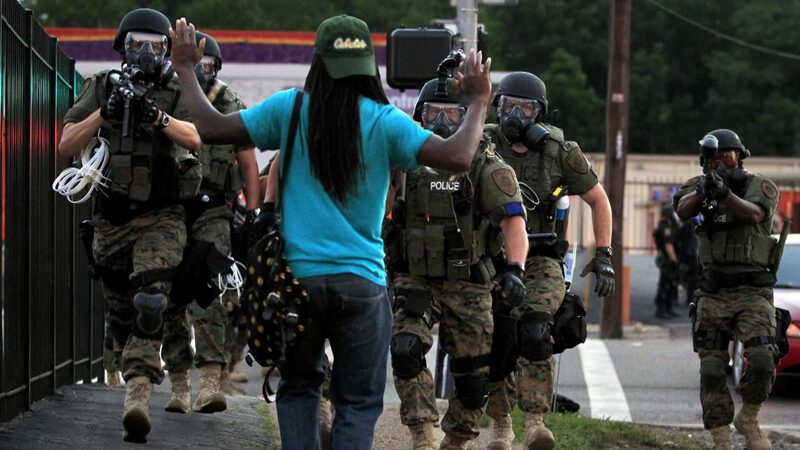 Ferguson, Missouri: A Question of Excessive Force? While many may interpret my question about excessive force as a criticism of the police, it is nothing more than a criticism of the use of excessive force. As I sat listening to Robert P. McCulloch, the St. Louis County prosecutor, return the grand jury’s decision to not indict Officer Darren Wilson for the fatal shooting of “Mr. Brown,” I kept waiting to hear comments regarding how or why Wilson was justified in firing several shots at an unarmed teenager. I kept waiting to hear some critique of the use of excessive force. While I was not surprised by the grand jury’s verdict, what I found disappointing in this case and continue to find disappointing in cases like this one, is the failure to discuss the use of excessive force by police. While giving his prepared remarks, McCulloch made no comments regarding Wilson’s use of deadly force against an unarmed 18-year-old man. During the question-and-answer session, the prosecutor made several references to “justified shootings.” Considering the fact that Michael Brown was unarmed, I fail to understand how firing 10 shots at Michael Brown as he approached officer Wilson was warranted. How many shots were needed to qualify for excessive force? What does it say about police training if a trained police officer feels his life is at risk because an unarmed teenager is approaching him? What does it say about police training if a “trained” police officer believes he is exercising “self-defense” by firing 10 times at an approaching unarmed teenager? Do we really believe there is nothing wrong with a police officer killing an unarmed teenager by firing 10 shots at him? When exactly does a police officer’s action to subdue a suspect cross the line of what society is willing to accept? Is the notion “by any means necessary” inappropriate for some people but always appropriate for police officers? What exactly qualifies as excessive force for police officers, and when does that excessive force become inappropriate? In the case of Ferguson, Mo., the use of excessive force by police officers seems to far outpace the national average. According to the Washington Post, six other Ferguson officers — five current and one former — have been named in civil rights lawsuits alleging the use of excessive force. This means 13 percent of the police department in Ferguson has faced such investigations, compared to a national average of less than 1 percent of all police officers as calculated by the Cato Institute’s National Police Misconduct Statistics and Reporting Project. Clearly, there is a history of questionable racial relationships in Ferguson.